After releasing iOS 10 earlier today, some users are reporting ‘bricked’ devices after attempting to update to the new operating system. Most of the issues seem to come from over-the-air (OTA) updates, meaning a device that attempts to download and install the update without plugging it in — something Apple used to require. The issues seem fairly widespread. The OTA update begins and leaves users staring at a ‘Connect to iTunes’ screen that forces a complete firmware re-install. 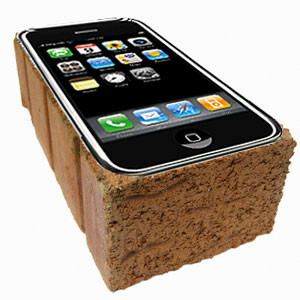 If you forego the wiping and re-installation of iOS from your iPhone or iPad, you’re left with a bricked and completely useless device. Not all users are having the issue though. I updated from the last beta version of iOS 10 to the launch version this morning without incident. A Twitter search for iOS 10-related keywords show the problem could be affecting a significant portion of those upgrading. In fact, nearly all of the iOS 10-related update problems appear to be the same issue, a bricked device after a prompt to connect to iTunes. For what it’s worth, Apple claims the problem has since been fixed, according to a 9to5 Mac tweet. Users, however, are still reporting the problem, so maybe Apple isn’t quite done remedying the issue just yet. Still, if you absolutely have to have iOS 10 today, it’s never a bad idea to do a fresh backup before you make the upgrade. Apple: Sucking at operating systems since 1983.
very nice blog. I like this summary. Very useful information. Apple haters is one of the best blog. Thanks for sharing, I also share about Steam Wallet Gift Card.Valve introduced a feature called Steam Wallet into their Steam content delivery system to facilitate micro transactions.